Today at Four Days In May (FDIM) Elecraft's Eric Swartz unveiled their new transceiver, the K3S. They also released details on the P3 TX monitor upgrade which has been rumored to be in the works for some time now. Prices start at $2,099 for the 10w kit version and go up to $2,899 for the 100w factory build version. 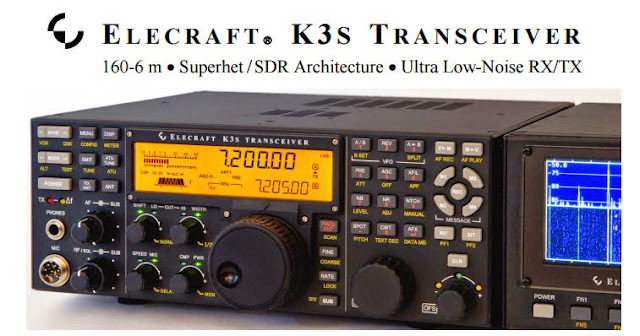 New: the price increase is about $500 over the previous base K3 model! We'll see how the numbers work out when Sherwood gets one but hopefully the numbers justify the price hike. Luckily many of the options are available for existing K3s (little S). What a great way to start the Dayton weekend! Keep your eyes here for more exciting stuff from the Hamvention!